1) Grate the coconut and roast it till light brown. 2) Lightly roast each ingredient separately in a dry frying pan with very little oil. 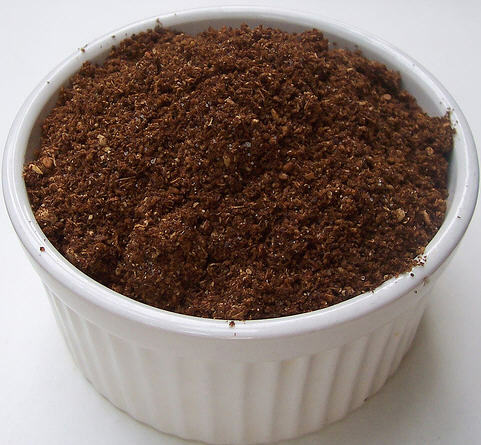 3) Mix all the ingredients and grind in a mixer to make a fine powder. 4) Store in a dry air tight container.